This is a unique design incorporating many folk images. 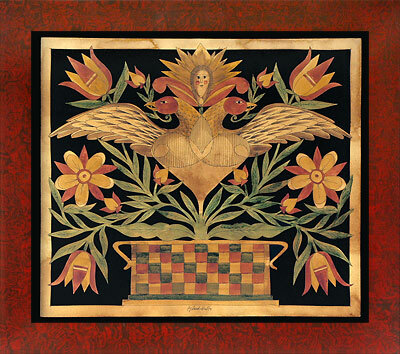 Two birds juxtapose at the center with a flowering angel and flowering vines in a multi-colored weave basket serve as the foundation. The frame is a red base with a faux graining using a rag method.